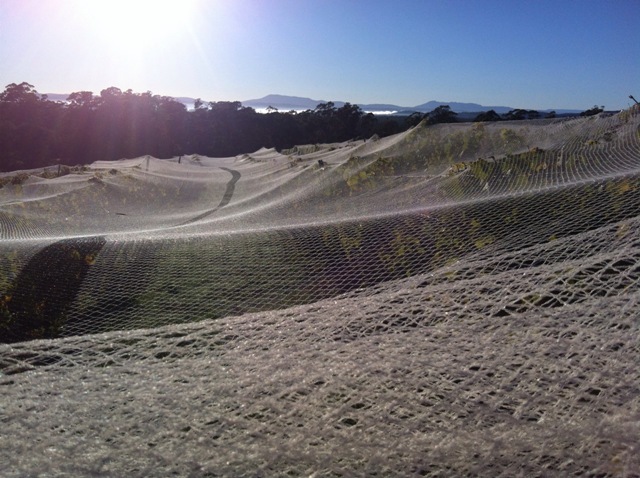 This entry was posted in Tasmania, Tasmanian Vineyards, vineyard and tagged Tasmanian vineyard. Bookmark the permalink. Is this the new baby vineyards why nets on? ?